Today’s 8.76 percent rally of Gold may conclude the advance of Intermediate-degree wave (A), which started in early-December. The strong rally day should be the last portion of a Minor-degree impulsive wave 5. Accordance with this adjusted wave count in daily frame, the following correction in wave (B) will develop soon to a partial retracement level (by technically 50% at 1204$). 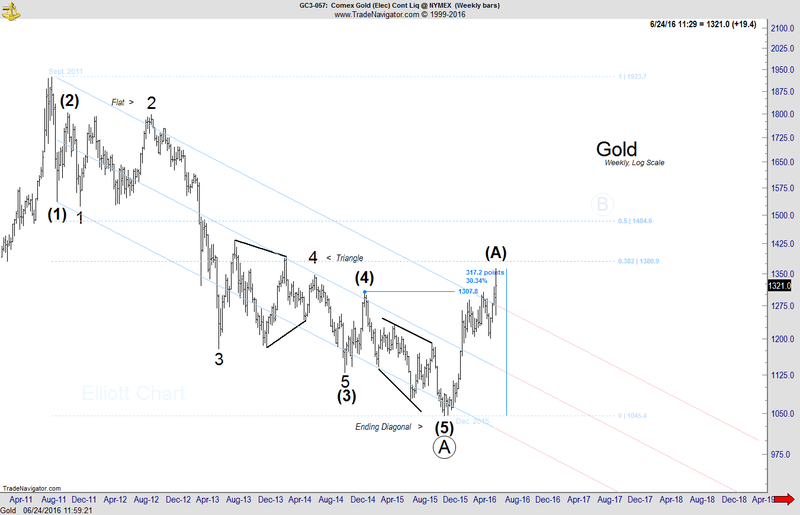 This entry was posted in Gold - Daily, Precious Metals on June 24, 2016 by elliottchart. 1213.2! the target that pointed well on an excellent trading setup for short position. After extending wave ((iii)) in its fifth-wave down, it’s expected to correct in wave ((iv)) to a partial retracement of the decline now. 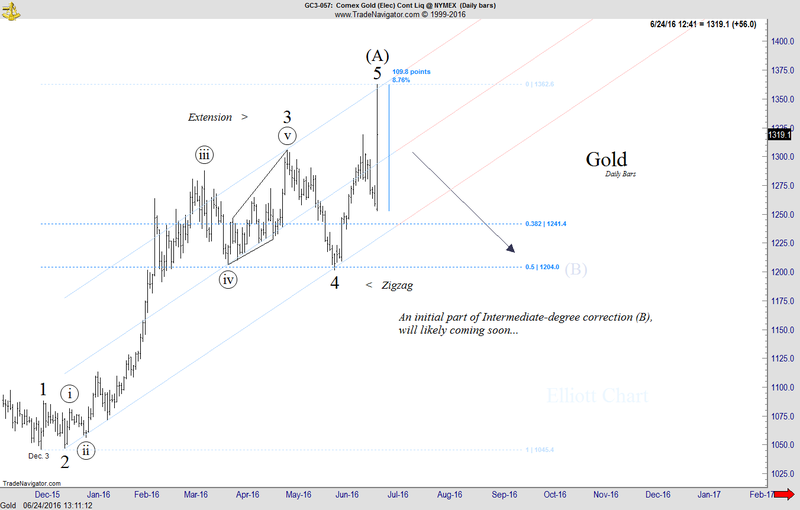 This entry was posted in Gold - Intraday, Precious Metals on May 27, 2016 by elliottchart. Oil still continued to rise in Minute-degree third wave of a first portion in uptrend. 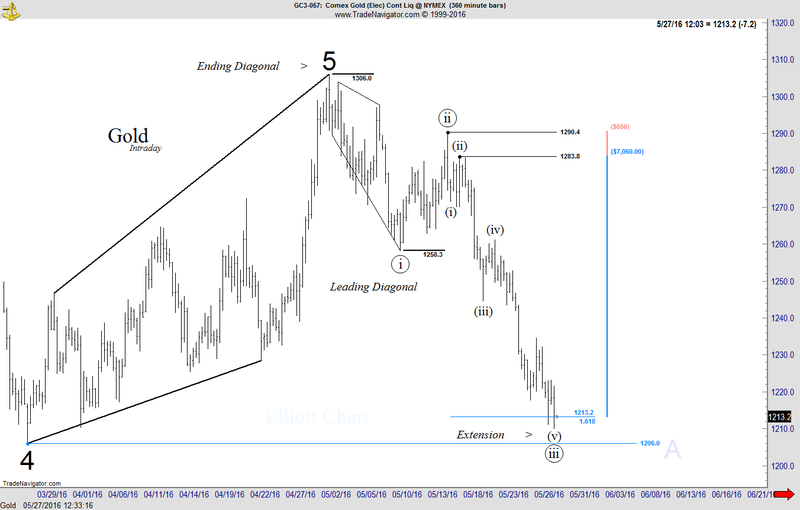 The wave ((iii))’s extreme would be pointed the Fibo target at 51.09, where the third and first waves are equal. After that, the wave ((iv)) will likely develop on the structural support (46.68). 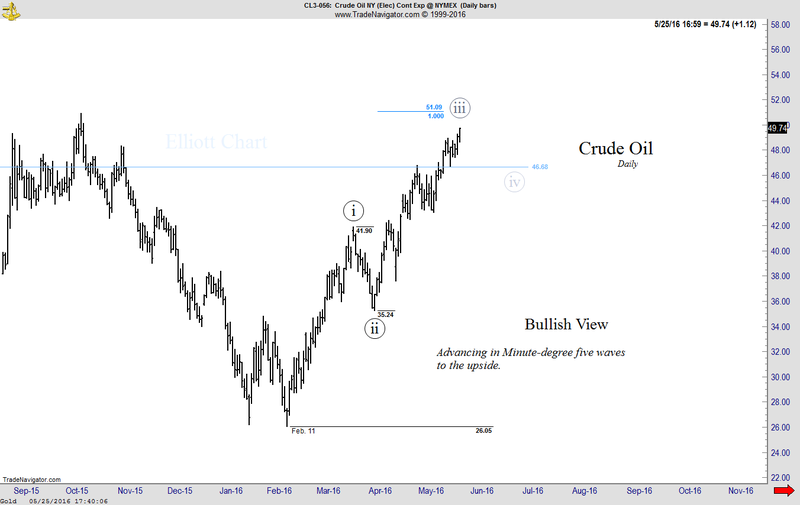 Note: With respect to variant frames of Oil chart, revealing a five-wave structure of Minor degree will fully confirm the bullish case. This entry was posted in Crude Oil - Daily, Energy on May 27, 2016 by elliottchart. Oil has continued to rise in Minute-degree third wave of a first portion in uptrend. This entry was posted in Crude Oil - Daily, Energy on May 25, 2016 by elliottchart. Gold is continuing its decline well, toward the target at 1213.2. 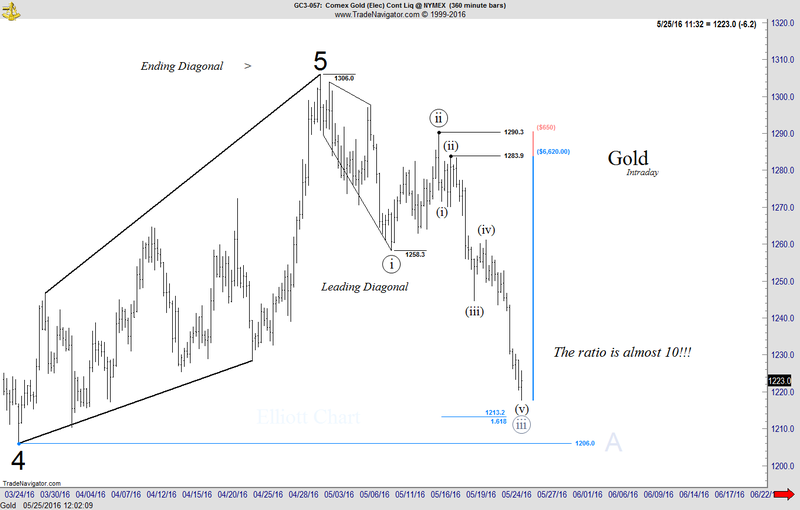 This entry was posted in Gold - Intraday, Precious Metals on May 25, 2016 by elliottchart. The market selloff accelerated down in an extending third-wave of Minor-degree wave A. The ultimate target ( for wave ((iii)) ) still remains at 1213.2, where the Minute-degree third wave will achieve the 1.618 times of the length of diagonal as wave ((i)). 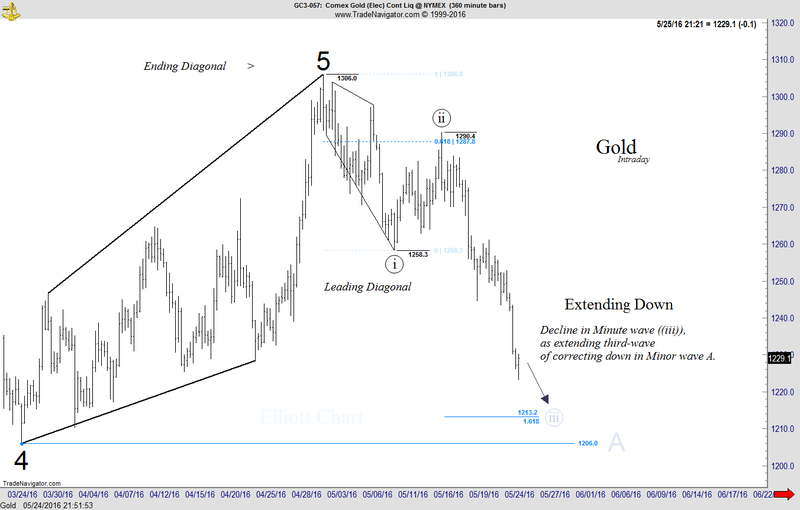 This entry was posted in Gold - Intraday, Precious Metals on May 24, 2016 by elliottchart.